ARP's Oil Pump Bolt and Stud Kits are premium grade, nominally rated at 180,000 psi tensile strength to provide you with plenty of clamping force and peace-of-mind when replacing an oil pump or rebuilding an engine. 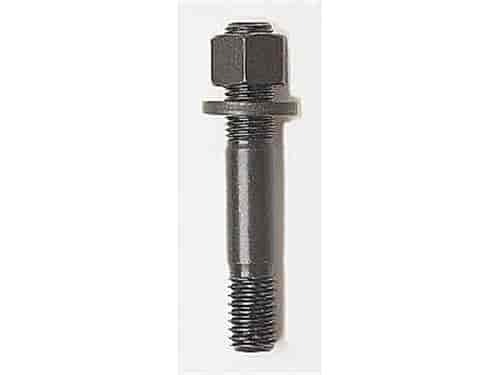 These oil pump bolt and studs come in choice of black oxide finished 8740 chrome moly steel or polished stainless and conventional hex style or 12-point design. Studs come with flat washers and nuts, while the Ford bolt kit has flat washers only. Does ARP 230-7001 fit your vehicle? 230-7001 - ARP Oil Pump Bolt and Stud Kits is rated 5.0 out of 5 by 1. What is the length of this stud? Will it work on a sbc with a bbc oil pump? These are 3.125 inches long.